Two girls died in January, months after First Nations leaders asked for help. Leaders of First Nations communities are accusing the Canadian government of ignoring urgent requests for funding after a suicide pact among young children was uncovered last summer, according to a report in the CBC. The suicide deaths of two 12-year old girls, Jolynn Winter and Chantel Fox, in the first weeks of 2017 has sparked outrage. Both children lived in the Wapekeka First Nation, a 400-person community hundreds of miles from the city of Thunder Bay, Ontario. A statement issued after their deaths described the suicides as "preventable." Joshua Frogg, a media relations liaison for Wapekeka First Nation, said, "We had identified that several children were secretly planning suicide several months ago and we immediately applied for health funding to work with the children in preventing any suicides from happening. Our community plan was turned down by government and now two are dead." The Wapekeka Nation statement also notes that four children are currently on 24-hour medical watch, and 26 other students "triggered by these deaths are identified as high risk for suicide." The Wapekeka First Nation delivered their funding proposal for suicide prevention to Health Canada on July 17, an "awkward time" in the funding cycle Keith Conn, the regional executive for Ontario, told the CBC. "We don't have necessarily a flexible fund that we hold back for different projects," he said. However, Conn has said that the government of Canada can now fund the program with "slippage," or unused funds from the country's annual budget. Canada spends around $300 million a year on suicide prevention in First Nations communities, after Prime Minister Justin Trudeau promised $69 million over three years during the Attawapiskat suicide crisis last summer. The Wapekeka, who focused on suicide prevention, saw their efforts blocked when federal funding for the initiatives were cut two years ago. "The system is handcuffing and discriminating against our people. The culture has to change... Our front-line workers are burned out. 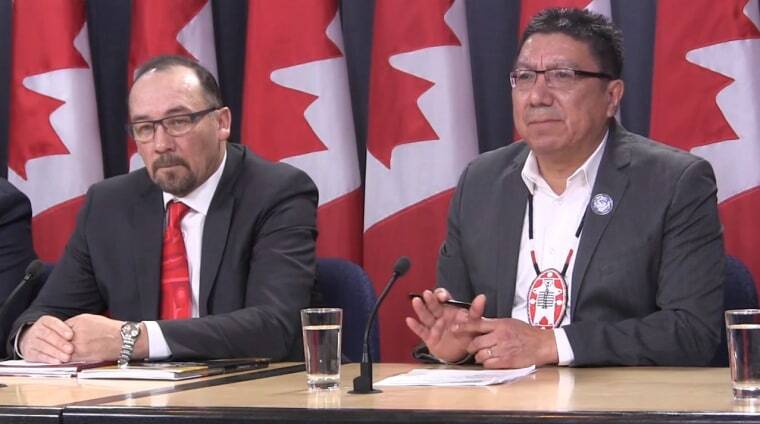 Our communities are tired," Mushkegowuk Council Grand Chief Jonathan Solomon said in a press conference.